President Trump had a very busy second week in office. He’s wasting no time getting his Cabinet in order. The only hold back is the democratic party trying to chain his hands back. This is a very dangerous time in history to try to prevent or stop someone from taking office. We saw democrats boycott not showing up to vote or confirm people for the Trump Administration. We saw the republicans take charge. It was a very interesting second week for the Trump Administration and how they had to overcome barriers and blockades. President Trump showed his tough side and soft side this week. Neil Gorsuch nominated for Supreme Court Justice to take the place of deceased Supreme Court Justice, Scalia. Rex Tillerson confirmed as the new Secretary of State. Jeff Sessions confirmed as the new attorney general 11-9 in favor. Elaine Chao confirmed as Transportation Secretary. Sanctions placed on Iran for erratic missile testing. Defense Secretary General Mattis makes his first visit to Asia. Russian sanctions to continue in Trump Administration, Russia continues to be aggressive in the Ukraine. President Donald J. Trump meets with America’s top C.E.O.s to bring 227,000 jobs back to America lifting EPA regulations. President Donald J. Trump gets eerie unsuspected surprise by former Obama Administration’s agreement to take in thousands of immigrants from South America that are in Australia. President Donald J. Trump gets the estimate to build the border wall or fence with an estimate of 18 billion dollars. Sadly the 150 billion dollars that the Obama Administration gave to Iran would build 8 border walls. The estimated timeline for the new border wall is 2 years for completion. President Donald J. Trump attended his first National Day of Prayer. He admitted it was his faith that kept his administration strong. EPA Scott Pruitt confirmed as the administrator for the Environmental Protection Agency. President Trump signs 2 Executive Orders to regulate the financial system the Dodd Frank Act to remove regulations on small businesses that cripples the economy and the other one rolling back financial regulations on the retired people, they should nor be limited for an economical opportunity. President Donald J. Trump promises to get rid of and remove the Johnson Amendment to protect religious freedom in America. What this means is that the pastor behind the pulpit has the right to express his political choices without risking penalties from the I.R.S. President Donald J. Trump tells Israel to stop making announcements on new settlements it interferes with peace talks between the two states. The Pro-Life March in Washington D.C. was held where thousands of people showed up to express their support for life. It was a big event that pro-lifers celebrated a step forward in the march to save a life; they finally got over the obstacles. President Trump shows respect to fallen Navy SEAL William Owens flying Marine One to Delaware the first to die under his administration. Secretary of Defense Gen.Mattis warns North Korea any nuke attack on the US or our allies will be met with an overwhelming & effective response. The Trump Administration found out the Obama Administration gave the United Nation 9.2 billion dollars his last year in office. The Obama Administration gave away 400,000 to a top rioter and basher to the Trump Campaign. Advocating for Lower Medical Costs & More Medical Jobs in the U.S. This week, President Trump met with pharmaceutical executives at the White House. US drug companies have produced extraordinary results for our country, but the pricing has been astronomical for our citizens. During the meeting, President Trump focused on cutting regulations to encourage drug companies to bring back operations and jobs to The United States. President Trump on January 27th signs Executive Order temporarily banning entries from seven of the most dangerous countries in the world known for training, harboring and exporting terrorist these countries were Libya, Sudan, Syria, Iraq, Iran, Yemen and Somalia for 90 days without proper clearance and vetting. This was the same most dangerous list the Obama Administration was using. He wanted time to make sure terrorist weren’t infiltrating into America as refugees. This was the most controversial order this week. He did it for the safety of Americans. There were a lot of protest going on because they didn’t understand the ban. Some saw it as a target against Muslims. President Trump said he did it to stop a lot of bad guys from coming in! His executive order was not a ban against Muslims or religion, it was a ban against danger. These seven countries were listed as the most dangerous countries in the world. The biggest concern now seems to be the proper vetting of refugees without someone getting offended. After seeing the chaos happening around the world heads being cut off and mad naked men running around eastern Europe stabbing and attacking people with machetes, how can you protect people when some don’t want to be protected, how do you protect America? President Donald J. Trump doesn’t have the easiest job in the world and he’s responsible for the safety of America and to give the executive orders when he feels Americans are in danger. After all, he’s only been in office 2 weeks, we need to give him time to adjust and make the necessary changes for the good of the Country. At least now we have a president that’s working for the good of the people! 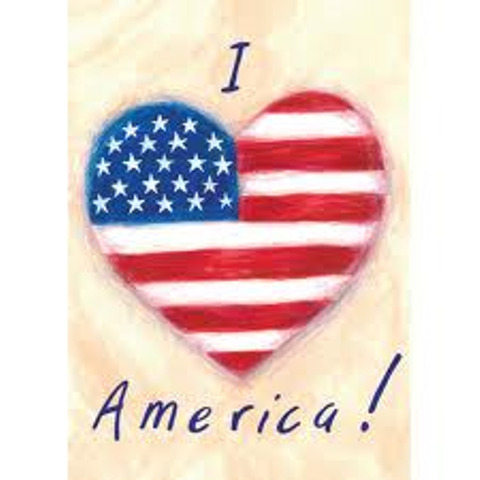 God bless America and keep her safe, and please God, watch over this administration and keep them safe! Washington Federal Judge lifts travel ban from the seven most dangerous countries for those 60,000 that have their airline tickets and Visas in their hands’. U.S. District Court Judge James Robart took the unusual step of issuing an emergency stay of Trump’s order as the attorneys general of Washington and Minnesota filed a lawsuit to overturn the legislation.The plaintiffs argue that Trump’s order violates the U.S. Constitution and federal law, including what they say is discrimination against a particular religion. Trump Administration exempted military interpreters and cultural advisors from travel ban. The White House issued a statement vowing to file for an emergency stay of a federal judge’s order to block President Donald Trump’s executive order restricting immigration and refugees from high-risk countries from the Middle East.“At the earliest possible time, the Department of Justice intends to file an emergency stay of this order and defend the executive order of the President, which we believe is lawful and appropriate,” read a statement from Sean Spicer to reporters. Justice Department formally appeals Seattle Judge James Robart decision on suspending President Trump’s immigration ban nationwide. Tweets: Iran is playing with fire – they don’t appreciate how “kind” President Obama was to them. Not me! Hope you like my nomination of Judge Neil Gorsuch for the United States Supreme Court. He is a good and brilliant man, respected by all. When a country is no longer able to say who can, and who cannot come in & out, especially for reasons of safety &.security – big trouble! Interesting that certain Middle-Eastern countries agree with the ban. They know if certain people are allowed in, it’s death & destruction! What is our country coming to when a judge can halt a Homeland Security travel ban and anyone, even with bad intentions, can come into U.S.? This blog will be updated as more information is available. Check daily for new updates!